MTN 94 Graphic Markers are dual tipped felt markers with a fine tip for drawing and a chisel tip for filling in color or calligraphy. 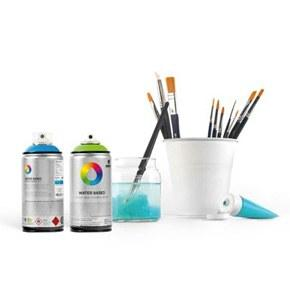 The colors are similar to a selection from the 94 spray paint color range and thanks to their translucent alcohol-based ink, they may be combined in layers. Supernova Pink is an opaque full ultra-light reddish-pink hue.